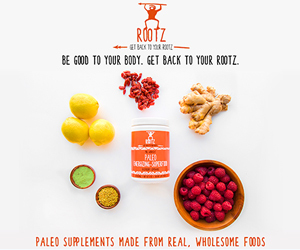 Are you looking for a healthy, easy snack or appetizer recipe, that requires zero cooking?? 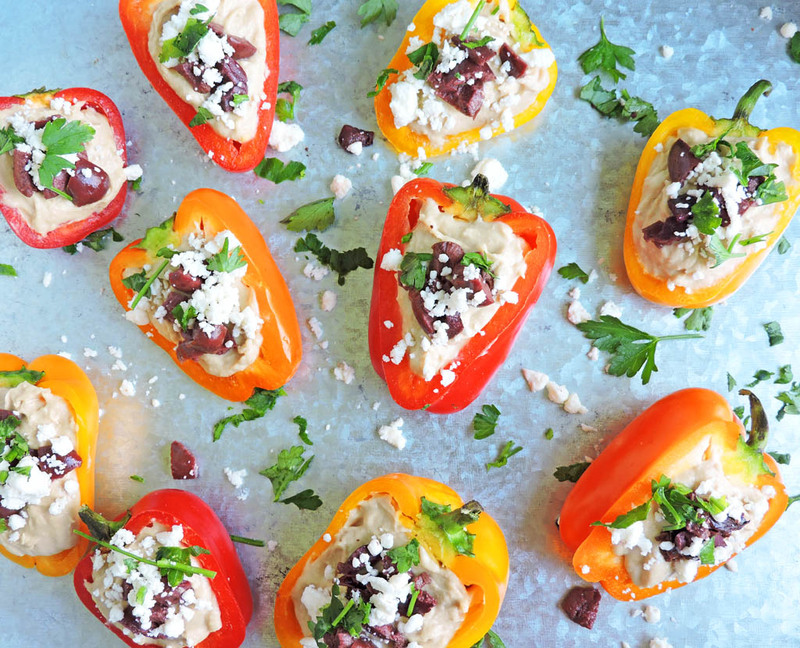 Well look no further and try these tasty Mediterranean Hummus Stuffed Peppers! Only 51 calories each! Okay, ya’ll, I am on a mission to use my oven as little as possible right now! With summer rapidly making it’s appearance in the South, I’m creating more recipes that take very little time to prepare and that taste amazing, of course! 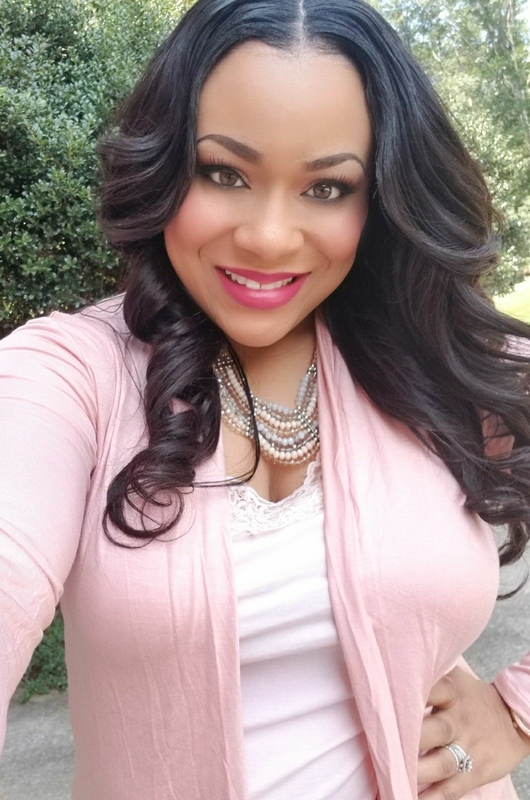 As you all know, I’m a “snacker!” Just like my toddlers, I look forward to snack time! Lol! But unlike my toddlers (lol), I prefer to snack on things that are healthier for me, like hummus. My usual way to enjoy hummus is with a few pita chips, but I recently tried it with mini bell peppers….OMG!! This was a complete game changer for me! Who knew that mini bell peppers would be the perfect partner to my beloved hummus? I added a few chopped Kalamata olives and feta and was in heaven! 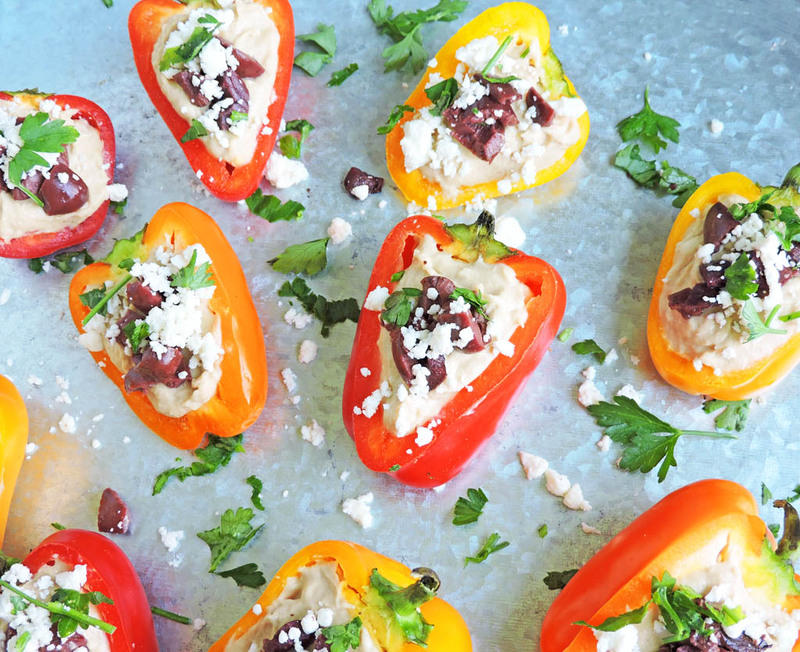 These Mediterranean Hummus Stuffed Peppers are a snacker’s dream! 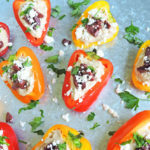 You can also serve these Mediterranean Hummus Stuffed Peppers as a yummy healthy appetizer for your next party! They literally take less than 5 minutes to prepare! I’m thinking about serving these at my next soiree…..stay tuned for those details and follow me on Instagram and Pinterest for more healthy recipe inspo! 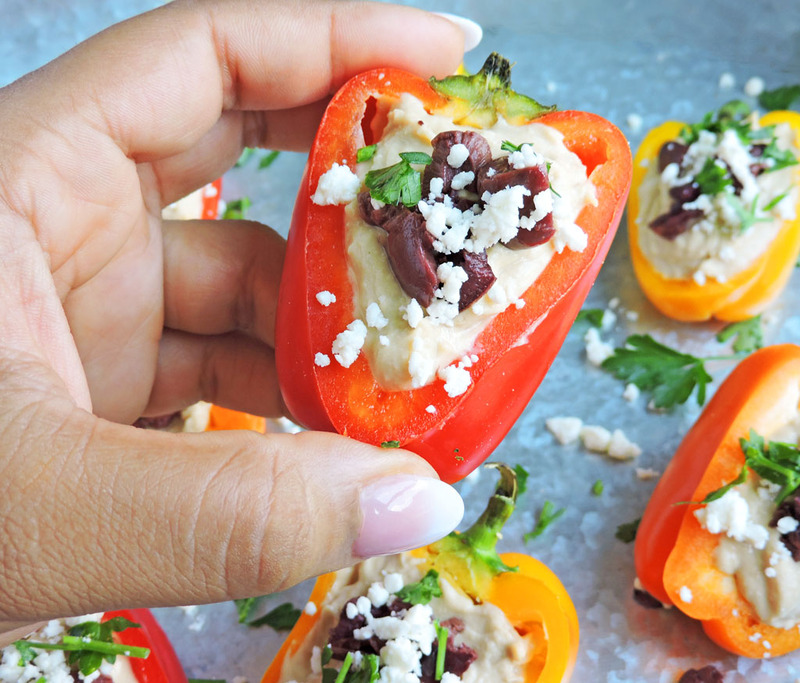 Arrange sliced mini bell peppers on a platter and fill each pepper with about 1-2 tbsp of hummus. Sprinkle chopped Kalamata olives, feta, and parsley (optional) on top and serve.